AAEM Resident and Student Association : Which Patients Should Have Blood Cultures Collected? Which Patients Should Have Blood Cultures Collected? Patients with bacteremia have a mortality between 30 and 50%, thus obtaining culture data on these sick patients is critical. On the other hand, in the immunocompetent, non-septic patient, blood culture data rarely changes management, has a low yield, with a high rate of contamination and increases cost. False positive blood cultures increase length of stay by four to five days. In order to provide high quality, cost-effective care, emergency physicians need to know which patients benefit from blood cultures being collected. The yield of blood cultures in patients with cellulitis is only two percent. [3,4] Meanwhile, the rates of contamination are equal to the rate of true positives and results rarely change antibiotic choice. [3,4] This is true for complicated and uncomplicated cellulitis, ICU patients excluded. In uncomplicated pyelonephritis, urine and blood cultures almost always grow out the same organisms (99.8%). In a study of 307 patients, none required a change in antibiotics. Urine cultures identify pathogens in pyelonephritis, and thus blood cultures likely provide no added value. Multiple studies have demonstrated that blood cultures in immunocompetent patients with community-acquired pneumonia have a high false positive rate and have less than a one percent chance of affecting patient management. [7,8] They are no longer recommended for admitted patients with community-acquired pneumonia according to the Centers for Medicaid and Medicare Services (CMS) and JCAHO, unless severe sepsis is present. Their low yield of 2-3% has been replicated in a pediatric population. [9,10] As of the 2011 guidelines, the Infectious Disease Society of America and Pediatric Infectious Diseases Society recommend obtaining blood cultures in children with moderate to severe pneumonia. A meta-analysis by Coburn and an observational cohort study by Shapiro identified the following risk factors for true positive blood cultures: septic shock, an indwelling catheter, a fever greater than 103°F, shaking chills and suspicion for endocarditis. [12,13] In a study of over 3,000 patients with about 10% positive cultures, bandemia was present in 80% of true positives and thus should be another trigger for obtaining blood cultures. Blood cultures should be considered in any immunocompromised patient with suspected infection. Blood cultures are costly and often result in false positive results. They do not change management in immunocompetent non-ICU patients with cellulitis, pneumonia or pyelonephritis. They should be considered for immunocompromised patients, those with septic shock, suspected endocarditis, shaking chills, high fever, bandemia or indwelling catheters. Angus DC, Linde-Zwirble WT, Lidicker J, et al. Epidemiology of severe sepsis in the United States: Analysis of incidence, outcome, and associated costs of care. Crit Care Med 2001;29. Bates DW, Goldman L, Lee TH. Contaminant blood cultures and resource utilization. The true consequences of false-positive results. JAMA 1991;265:365–9. Mills AM, Chen EH. 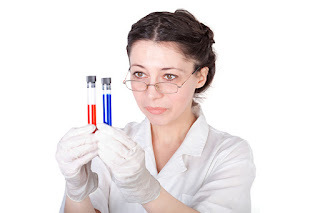 Are blood cultures necessary in adults with cellulitis? Ann Emerg Med. 2005 May;45(5):548-9. Paolo WF, Poreda AR, Grant W, Scordino D, Wojcik S. J Emerg Med. 2013 Aug;45(2):163-7. McMurray BR, Wrenn KD, Wright SW. Usefulness of blood cultures in pyelonephritis. Am J Emerg Med. 1997;15:137–40. Velasco M, Martinez JA, Moreno-Martinez A, Horcajada JP, Ruiz J, Barranco M, et al. Blood cultures for women with uncomplicated acute pyelonephritis: Are they necessary? Clin Infect Dis. 2003;37:1127–30. Benenson RS, Kepner AM, Pyle DN 2nd, Cavanaugh S. Selective use of blood cultures in emergency department pneumonia patients. J Emerg Med. 2007 Jul;33(1):1-8. Kennedy M, Bates DW, Wright SB, Ruiz R, Wolfe RE, Shapiro NI. Do emergency department blood cultures change practice in patients with pneumonia? Ann Emerg Med. 2005 Nov;46(5):393-400. Heine D, Cochran C, Moore M, Titus MO, Andrews AL. The prevalence of bacteremia in pediatric patients with community-acquired pneumonia: guidelines to reduce the frequency of obtaining blood cultures. Hosp Pediatr.2013 Apr; 3(2): 92-6. Shah SS, Dugan MH, Bell LM, Grundmeier RW, Florin TA, Hines EM, Metlay JP. Blood Cultures in the Emergency Department Evaluation of Childhood pneumonia. Pediatr Infect Dis J. 2011; 30(6):475-479. Williams DJ. Do all children hospitalized with community-acquired pneumonia require blood cultures? Hosp Pediatr. 2013 Apr;3(2):177-9. Coburn B, Morris AM, Tomlinson G, Detsky AS. Does this adult patient with suspected bacteremia require blood cultures? JAMA. 2012 Aug 1;308(5):502-11. Shapiro NI, Wolfe RE, Wright SB, Moore R, Bates DW. Who needs a blood culture? A prospectively derived and validated prediction rule. J Emerg Med. 2008 Oct;35(3):255-64. Siegel TA, Cocchi MN, Salciccioli J, Shapiro NI, Howell M, Tang A, Domnino MW. Inadequacy of temperature and white blood cell count in predicting bacteremia in patients with suspected infection. J Emerg Med. 2012 Mar;42(3):254-9.